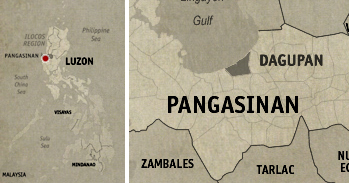 Is there a legit coffee shop here in Dagupan? C asked M who’s been the resident blogger of the city. Hmmm… There’s a newly opened Starbucks here, but you probably don’t really want that. I know just the place. Still not knowing where to go next, we decided to regroup and have some chill moments first at a café somewhere within the city. From Hotel Le Duc, we rode a tricycle and alighted at a stately building just a few minutes from our hotel. It didn’t look like a coffee shop at all. 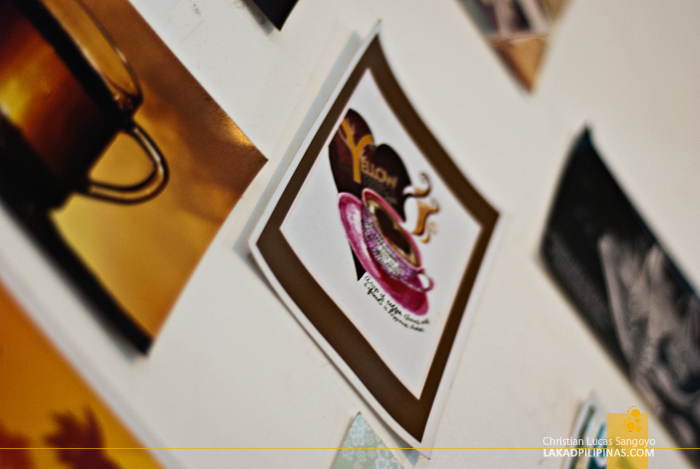 From a winding and carpeted spiral staircase, we emerged on the second floor where our query awaited, the Yellow Tree Café. The interior is quite cozy; hip neon green plastic chairs, unfinished concrete floor, doodads and various knick knacks on the walls and corners. 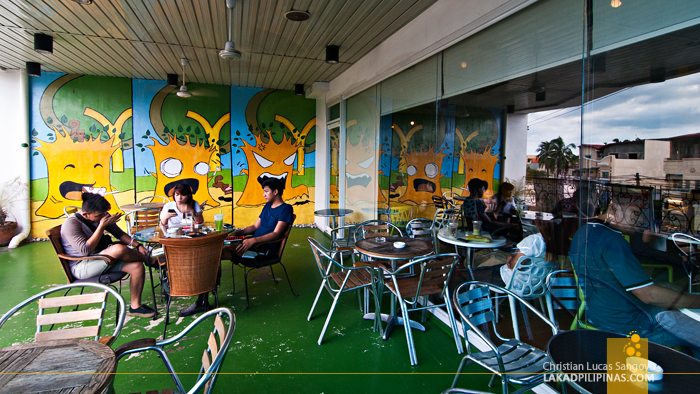 The place is air-conditioned but they also have a lively balcony al fresco area where smokers can enjoy their caffeine with their nicotine. The café was almost full when we visited, the crowd mostly teen Dagupeños whiling away their Sunday afternoon. 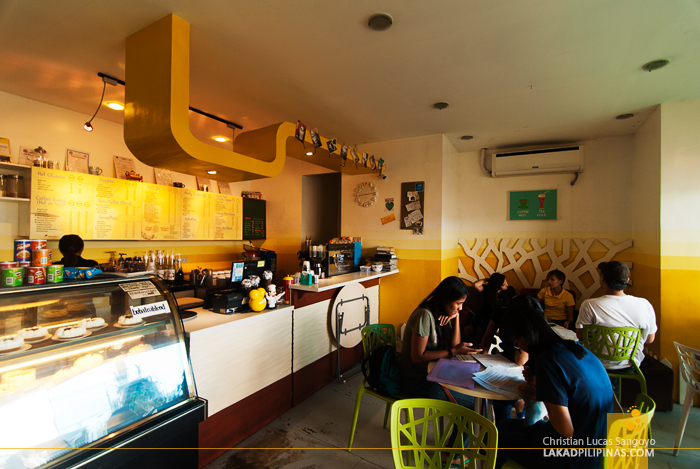 Yellow Tree Café is the brainchild of Chester Tan, a twenty-something Dagupeño whose passion made him start up his own coffee shop. 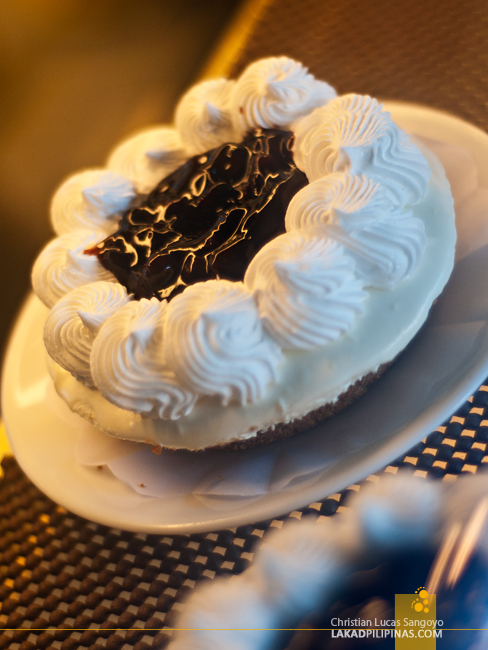 For almost three years now, the place has been receiving good business despite the competition from more established cafés that has been mushrooming in Dagupan City. We asked M for her recommendation; she said that their Mocha Frappe was quite good. Finding it to be on the ordinary side of the menu, I decided on a drink that you’d only find here; their Peanut Butter Frappe (Php120.00). I usually beg off on adding whip cream on my drinks, but decided on having it this time to appreciate the frappe’s full flavor. 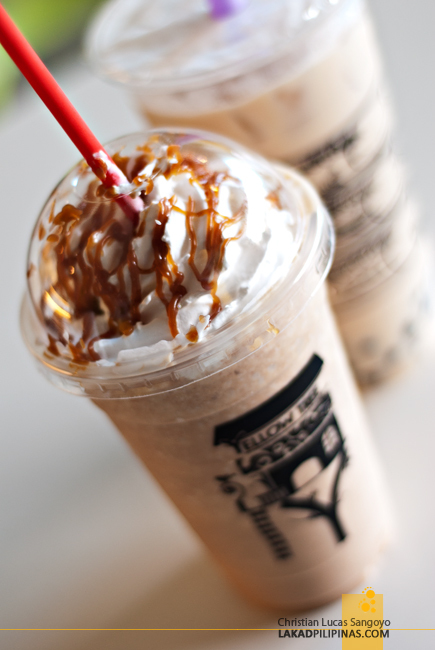 And indeed, the Peanut Butter Frappe did not disappoint. I love how pronounced the peanut butter is upon first sip. The flavor is strong but not overpowering. 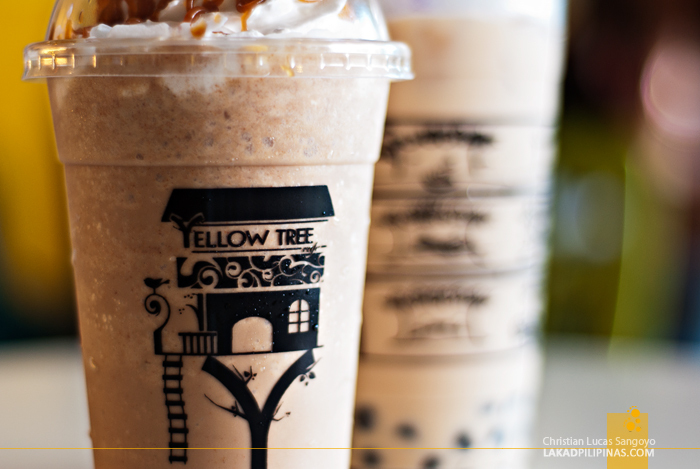 Besides coffee, Yellow Tree Café also serves milk tea, a drink that has blossomed over the years in the country. They also have pastries and sweets, but it’s really not for me. One friend said that I should’ve tried their Rock Salt and Cream Cheese drink, but I was already too full with the coffee I ordered. 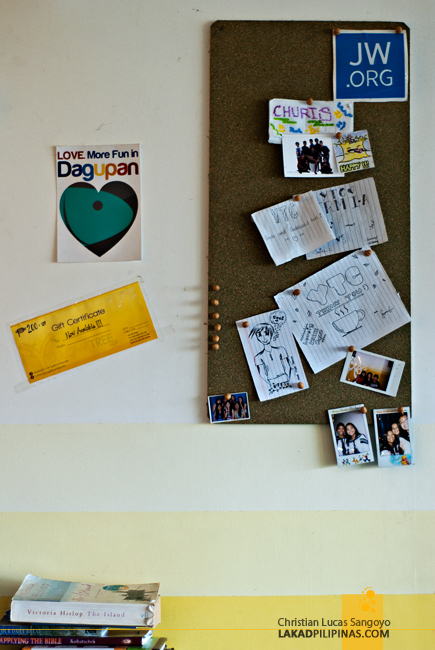 Maybe on our next Dagupan visit. Besides, we wanted to end the day with a beer-drinking spree at a cottage over a palaisdaan somewhere, I needed to leave some room for beer, haha.